Just like the 2016 MWC brimming with the world's best phones and tablets, 2016 CES gathered the high-end TVs, from rollable and modular TV concepts to humble OLED, SUHD and 4K Roku TV models. But, how to choose the right one from the exponentially growing smart televisions? What is the top TV 2016 to buy? In the spirit of making things easy, we've rounded up all best TVs in 2016 by brand, tips to find best televisions, as well as ways to enrich your Samsung/LG/Sony/Panasonic TV viewing experience. When it comes to best TVs to buy in 2016, Samsung TV can not be ignored. Samsung added to the confusion over HD naming conventions with its SUHD label last year. 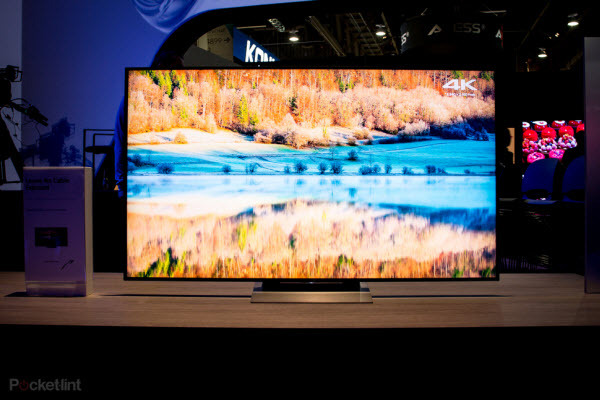 But the company is sticking with the name, unveiling the flagship SUHD TV for 206 – the KS9500. 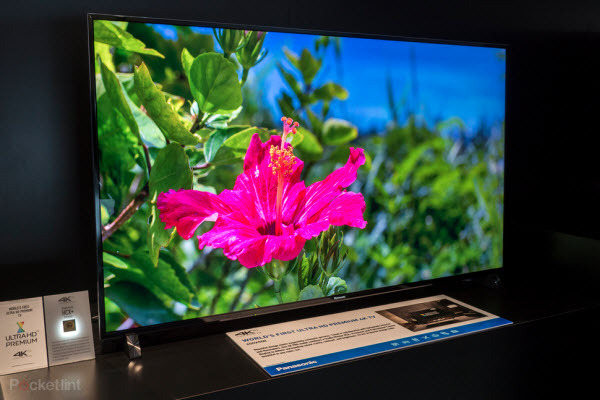 The KS9500 is the top-of-the-range model at 88-inches and it reintroduces the terminology Quantum Dot to include 1,000nit brightness and HDR support. It is also curved, with Samsung claiming to have introduced new technology to reduce screen glare. An all-new Tizen-powered Smart Hub hopes to offer a more natural and customisable interface, while a Smart Control remote enables users to control other kit such as games consoles through one device. Samsung is also offering something called Extra Service through this TV. Pressing the Extra hot button will bring up information about the action on the screen. Pricing has yet to be announced but it will vary across the range, with the KS9500 being the most expensive. The company also plans to launch its first Ultra HD Blu-ray player – the UBD-K8500 – in March this year. 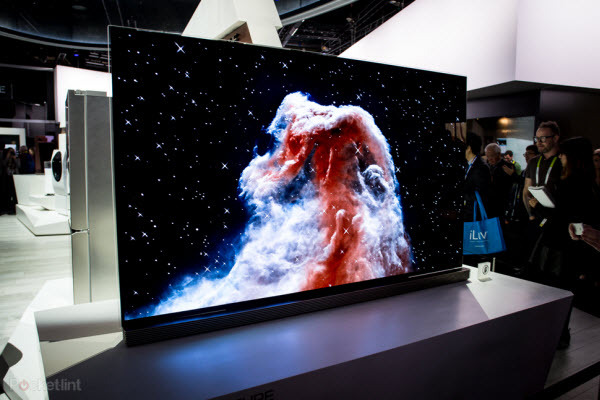 LG and Samsung are the real giants of the global TV marketplace, and both showed exceedingly cool, highly compelling takes on how big-screen TV tech could evolve over the next few years. The company is the only one to manufacture TV-sized OLED panels, so naturally there was a big OLED push from LG. Thus far, we've been introduced to the incredibly thin LG G6 and LG E6 ranges. LG has announced new OLED models at CES 2016, alongside new LCD LED models. The G6 and E6 models form a new flagship, with the G6 falling into a new premium products category from LG, known as LG Signature. The G6 and E6 models have an Ultra HD Premium compliant display, carrying the new seal of approval, offering a 4K resolution and HDR support, incorporating Dolby Vision, as well as supporting standards for other HDR sources, like YouTube. The flat OLED displays are the first to use a new Picture-on-Glass design, leading to an incredibly slim finish, only 2.57mm thick for the G6. To boost the sound quality, the stand doubles as a soundbar, but can also be moved behind the TV if you want to wall mount it. The G6 and E6 OLED TVs run webOS 3.0 for a connected smart experience, while promising stunning picture quality. The G6 will be available at 77 or 65 inches, the E6 is 65 or 55 inches. They will be available from March. As well as OLED models, LG is committing to enhanced LED models, that it's calling LG Super UHD. All the models use webOS 3.0 as the smart TV platform, with support for HDR streaming from companies like Amazon and Netflix. The UH9500 comes in 55 to 86-inch sizes and features a new design resulting in a 6.6mm screen achieved by reducing the gaps between the back and the panel. It's an IPS display, with True Black Panel technology, designed to reduce reflections, and Contrast Maximizer aiming to add more depth and background separation. 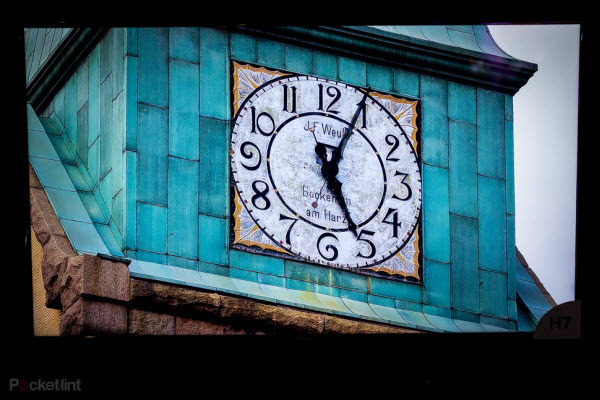 There's also an SDR to HDR conversion engine, to give all your content that HDR look. The UH9500 is boosted with Harman Kardon speakers. The UH8500 will come in sizes from 55 to 75 inches offering a similar feature set to the UH9500. The UH7700 will come in 49 to 65-inch sizes, with a slightly different design. If you're looking to push things even higher, LG also has a production-ready 8K television. Again, this is an LCD LED TV. The UH9800 measures 98-inches on the diagonal, with the aim to ship this model in the second half of 2016. The Sony press conference saw the company unveil their new 4K UHD HDR logo, which you'll be seeing a lot of in 2016. Sony will introduce several 4K TVs in 2016 but the main model announced at CES was the XD93, which comes in 55 and 65-inch sizes and sits at the top of the company's portfolio in terms of technology. The XD93 line will be the only one in the Japanese manufacturer's offering that will come with full HDR support and it will also be one of the only sets that will be powered by Android TV. Thanks to Android, the XD93 will be able to run Sony's new proprietary service called Ultra through a dedicated app. This will provide users with access to 4K HDR movie content to purchase and keep in an UltraViolet locker. Along with the full HDR support, the Sony XD93 features what the company is calling a Slim Backlight Drive, which lights and dims zones on the back panel in relation to the action on the screen. There is also Sony's Triluminos picture processing technology on board, delivering more realistic colours. Thanks to a honeycomb-structure local dimming panel, which divides the picture into hundreds of individually controlled lighting zones to ensure minimal light leakage between them for optimum blacks without compromising the brightness level, the DX900 is able to deliver the most accomplished brightness-to-black-level set. The company's claims are yet to be tested in full, but the DX900 has passed the UHD Alliances exacting standards so we're excited to see it for ourselves. John Archer, our TV expert, will be sharing his first impressions soon. Both a 65-inch and 58-inch option will be available when the TV goes on sale in Spring 2016. It's also worth mentioning the company's new DMP-UB900 – a 4K Blu-ray player with a clever sounding High-Precision Chroma Processor. The device will also support 4K VOD content eventually and comes with twin HDMI ports for separate audio and image outputs. Hisense announced the H7 series of TVs at CES 2016 and while they might not be up there with the Samsung's and LG's of this world when it comes to picture quality, they certainly pull it out of the bag in terms of price. The company introduced HDR-compatible sets starting at just $399 during the Vegas show. This means that users will be able to view HDR content natively as the H7 series is fully compatible. The 43H7C is the entry model and offers a 43-inch 4K display, UHD upscaling, Smart TV functionality and apps, a 4K media-player and dual-band Wi-Fi. All for $399, not bad huh? 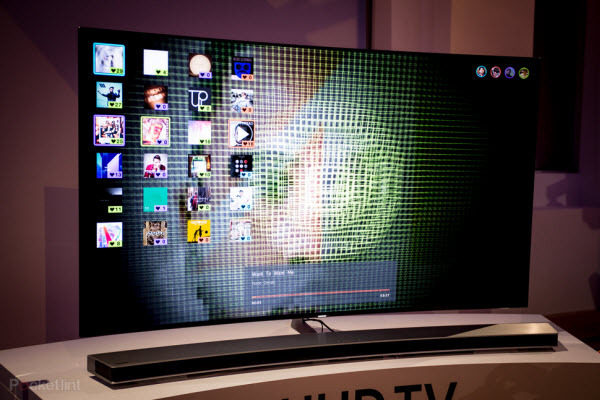 There are also 50-inch, 55-inch and 65-inch models, with prices reaching $1299. 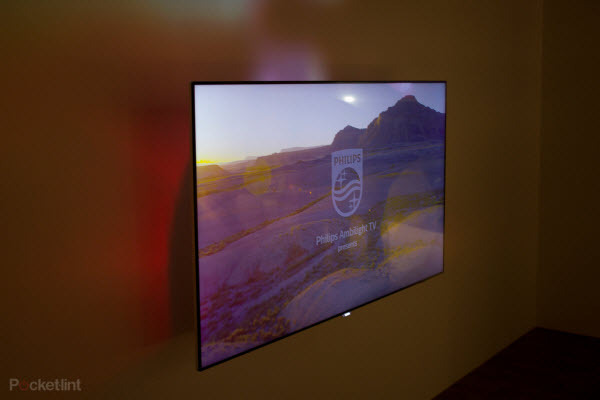 Philips has confirmed that the 8901 AmbiLux (65-inch) flagship will now have wider availability, alongside the 8601 Ambilight model (65 or 55 inches). These are the flagship Philips TVs for the first half of 2016. AmbiLux uses nine projectors on the rear to spread the colours across your walls, making for a more immersive experience and the four-sided projection of the 8601. Both these TVs feature an Ultra HD LED panel, supporting HDR and running on the Android TV platform. Added to the mixture in 2016 is Amazon Instant Video in Ultra HD, as well as an enhanced range of gaming options. 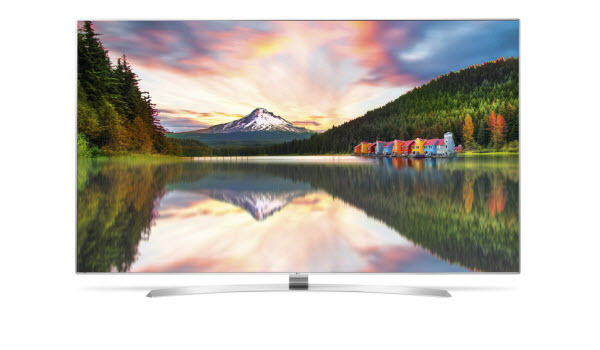 TP Vision used CES 2016 to introduce two new Ultra HD TVs, both of which will run on the Android TV platform. The new models will feature a more standard three-sided Ambilight illumination, unlike the AmbiLux model first announced at IFA and mentioned above. The Philips 7000 series will mark the company's entry level for HDR and thanks to Android TV, the range will offer a number of streaming skills. TP Vision announced support for the Ultra HD version of Amazon Instant Video, which will make 4K content easily accessible through the new models. Pricing and availability of the new models has yet to be detailed. 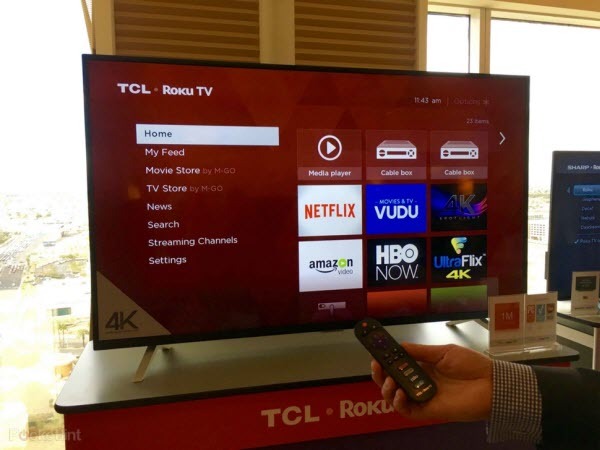 It's not a flagship TV, but that doesn't mean the 4K TCL television powered by Roku shouldn't be overlooked. Available in the US, the mid-range television uses the Roku OS found in its set top boxes to power the TV. That means you get over 3,000 channels at the press of a button, plenty of 4K content, and the chance to still plug in all your usual games consoles, DVD players, or cable boxes. What's really clever is that the system ditches the "input" button so you are never more than a button away from getting to the home screen with all your favourites. The TV is available in sizes from 32- to 65-inches. At last year's CES, 4K TV technology was heralded as a game changer for its ability to quadruple the number of pixels found in a standard HD picture. This increase in resolution adds stunning detail, greater depth and vibrant color to images on TVs of any size. And yet early buzz from this year's event suggests that 8K is the new wave of the future. That's a dubious claim, since the current price tag for an 8K television runs in the neighborhood of $130,000! Thankfully, 4K technology is no longer reserved for only the wealthiest technophiles. Prices for 4K sets are increasingly affordable, with many available right now in the $500 to $800 range, depending on screen size. Perhaps most importantly, 4K programming is just beginning to roll out, while 8K content remains years away. Taking a cue from the bowed theater screens that movie audiences have grown accustomed to seeing at venues around the country, tech companies at this year's CES are flooding the market with curved televisions. Aside from simply looking cool, these new sets promise better contrast, a wider field of view, and a more immersive experience. Less attractive are the drawbacks, which include limited viewing angles, exaggerated reflections, and a steep price tag that's almost triple the cost of a similarly sized flat screen model. Whether these curved TVs are the shape of things to come or merely another gimmick remains to be seen. Until then, a traditional flat screen will serve you well in 2016 and for years to come. It sometimes seems as though every new technology that hits the market, no matter how revolutionary, is instantly ignored by tech bloggers in favor of what's coming next. While that's good business for websites, it can trick consumers into spending far more than they really need to. Take for instance the competition between LCD and OLED televisions. The main difference between the two comes down to light emission. Pixels in LCD televisions are illuminated as a whole, while new OLED sets illuminate each pixel individually. Although that's an impressive feature, the tech site CNET recently pitted the two formats against each other, and LCD's brightness, color gamut and refresh rate won over OLED. Budget-minded consumers may also want to consider the shocking price difference before choosing the best TV for them. While LCD models can be had for as little as $500, OLED televisions can cost over $6000. Illuminating, indeed! To paraphrase Mark Twain, reports of 3D's death have been greatly exaggerated. 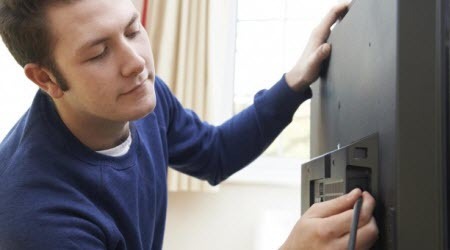 Ranked among the hottest new TV trends of 2013, the dimensional format has admittedly been slow to catch on with general consumers, but it's far too early to write it off wholesale, as some tech bloggers have done. Despite the premature obituary, 3D sets were highly visible on last year's CES trade floor, and new breakthroughs in autostereo technology (glasses-free 3D), along with the promise of greater 3D programming in the future, will insure that the format retains a presence in the years to come. So with brand new 3D Blu-rays such as "Inside Out," "Jurassic World" and "Terminator: Genisys" hitting the market every week, and prices dropping to the $700 – $1100 range, now is a good time to consider adding some depth to your home media room! Now select the best TVs 2016 that are right for your budget! Above are great TVs in 2016 to watch YouTube, Hulu, Netflix, movies, videos, Blu-ray, DVD, etc. 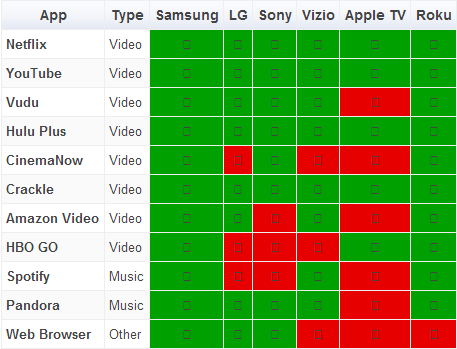 Here is a table comparing the main apps across all smart TV platforms, including Apple TV and Roku. Not technically a TV brand but worthy of inclusion nonetheless, Netflix announced a slew of new 4K and HDR content for 2016, making a UHD TV that much more appealing. This year will see 600 hours of original content from the streaming giant, including a new series about Queen Elizabeth II called The Crown. It's also launching in 130 new countries, making Netflix a truly global TV network. Very few countries, China included, down have it, but Netflix hopes to add China to its list soon. Also you can play YouTube, Hulu online or watch downloaded movies on your Samsung/LG/Sony/Panasonic TV. 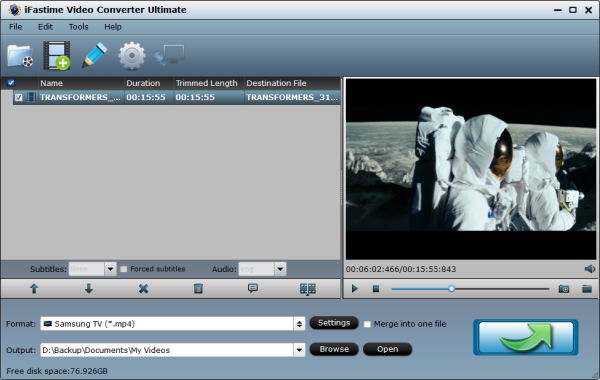 So a solid movie converter, like iFastime Video Converter Ultimate is helpful to convert downloaded MKV, AVI, FLV, WebM videos or movie torrents for viewing on TVs offline. No matter how great the best TVs from 2016 are, they are far from perfection without any movies on them. Since streaming movies online is not a good choice all the time, downloading movies torrents on TV puts your gadget at risk of being attacked by virus. Now, watching movies Blu-rays, DVDs on top rated Samsung/LG/Sony/Panasonic TVs 2016 is nothing new. 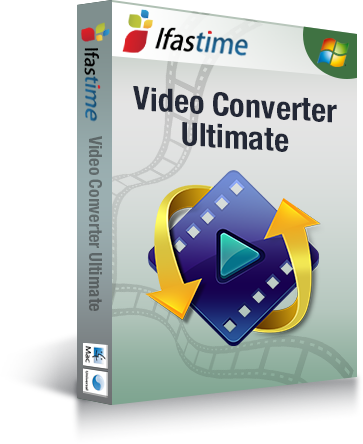 And iFastime Video Converter Ultimate can be a robust Blu-ray/DVD ripper to bypasses Blu-ray/DVD copy protections and rip DVDs to best TVs 2016, Samsung KS9500 SUHD, LG Signature G6 and E6 OLED TV, Sony XD93, Panasonic DX900, etc. with their supported digital format with no quality loss yet 6× faster speed. It supports optimized preset for Samsung/LG/Sony/Panasonic TV which can work for other similar TVs, too. Ripping and watching movies Blu-rays/DVDs on top TVs of 2016 Worth Your Money can be so easy and fantastic. We think your website is very useful to us. Android Video Formats: What Supported Formats for Android gadget?